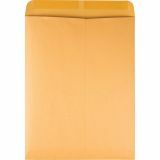 Lightweight catalog envelope for mailing or storage. Split Regular Gum. Add moisture to the flaps before folding them down. The heavily gummed adhesive effectively seals the package until opened by the recipient. Concealed Contents. With no windows, materials are sealed away from curious eyes. 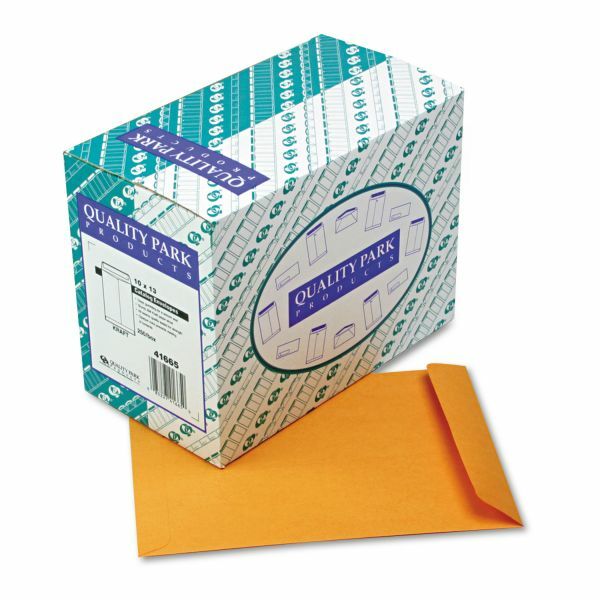 Quality Park Catalog Envelope, 10 x 13, Brown Kraft, 250/Box - Durable Kraft, catalog envelopes feature heavy gumming for a secure seal, open-end styling and reinforced seams. All seams are quality tested for strength. Opaque color of the 28 lb. 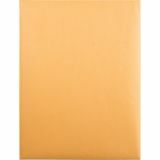 Kraft paper stock prevents viewing of contents through the envelope.